Here’s why the film has the potential to bomb at the box office: everything the film had going for it was destroyed by the trailer. I don’t mean to say that knowing the Jake Gyllenhaal character is constantly dying and “coming back” to life is what destroys the entire film, necessarily, but it is the simple fact that there seem to be no major stakes in it for the audience to enjoy. There are no risks! We know he’s going to be okay if he dies because we’ve seen it happen already. And this particular problem is similar to the one faced by Prince of Persia: The Sands of Time, which starred Gyllenhaal as well. And there seems to be a love story trying to force its way in there that simply isn’t enough to carry the movie. 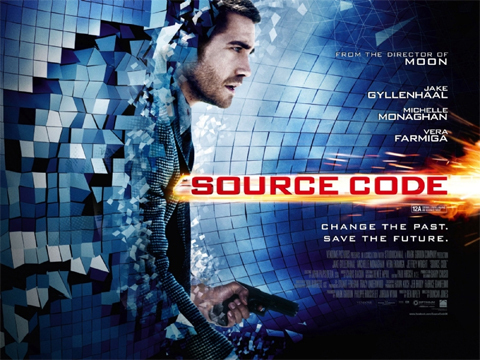 Source Code comes off looking like the sister-film to The Adjustment Bureau. It doesn’t help matters that these first five minutes of the film seem to be rushed. The suspense isn’t given enough time to develop so when that first explosion occurs, we already knew that it was going to happen. Are you excited to see Source Code or did these first five minutes with the inclusion of the trailer turn you off to the entire thing? Leave us your thoughts below. This entry was posted in News and tagged Duncan Jones, Jake Gyllenhaal, Movie, Sci-Fi, Source Code, The Adjustment Bureau. Bookmark the permalink.